The Obama administration is rushing to get a flurry of priorities done before Donald Trump takes office. One of those items was a five-year lease plan from the Department of Interior, for the years 2017 through 2022, which includes territories the federal government plans on auctioning off for oil and gas drilling on the outer continental shelf. On November 18, Interior released its plan, and notably absent from the plan was acreage in the Arctic and Atlantic Oceans, a sign that President Obama wants to wall off those areas from future development. The proposed five-year plan includes 11 potential lease sales across four areas – three in the Gulf of Mexico and one in the Cook Inlet in Alaska, which is off of Alaska’s southern coast; the Chukchi and Beaufort Seas off of Alaska’s northern coast – the areas the oil industry hopes to eventually drill – were excluded. As for the Atlantic, the Interior Department cited not just low oil prices, but also strong local opposition – the eastern seaboard of the U.S. is heavily populated and oil drilling would affect all sorts of competing interests. One of those is the U.S. military. Virginia is home to a huge military presence, and officials from the Pentagon have warned about interference with its operations from drillers offshore. Still, the political ramifications should not be underestimated. Anticipating an outcry from oil and gas drillers, the Director of the Bureau of Ocean Energy Management (BOEM), Abigail Hopper, assured that there was plenty of acreage for the industry. 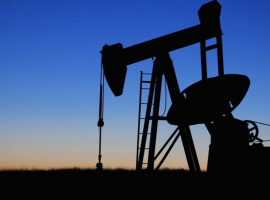 “The proposal makes available more than 70 percent of the economically recoverable resources, which is ample opportunity for oil and gas development to meet the nation’s energy needs,” Hopper said. The Department of the Interior will soon fall under Donald Trump’s control, and he can choose to go back on the recently released five-year plan with the intention of opening up the Arctic and Atlantic Oceans for drilling. But it is a multi-year process, which means it is not as if drilling can begin next year. For example, the Nov. 18 release of the proposed plan was the culmination of a process that began in June 2014, two and a half years ago. As noted in The Hill, the five-year plan from Interior is not a regulation, so Congress cannot simply tear it up in the same way that it can with executive actions. It will have to more or less start over. But they will certainly begin that process right off the bat. 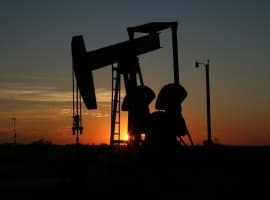 House Speaker Paul Ryan (R-WI) issued a statement immediately after the Interior Department released its five-year plan, and he said that the Republican Congress will scrap limits on drilling. The monopoly that Republicans have over the federal government should make it relatively easy. But again, it will take roughly two years before a new plan can be put together. And even then, it is unclear that any oil companies will be willing to follow in Shell’s failed footsteps. The risk is high, the costs are extraordinary, and the payoff is uncertain. The breakeven price for Arctic drilling is unknowable at this point because of the lack of drilling, but it is likely at least as high as $80 per barrel, and quite possible north of $100 per barrel. As long as oil prices stay low, no companies will be drilling in the Arctic, no matter what President Trump does. Our retiring dictator has spoken. Now our duly elected President will start the undoing of the rabid liberal POS.